To qualify for a maximum mortgage in Spain you must meet certain requirements of the Spanish banks. Generally banks finance 60% to a maximum of 70% of the purchase price or of the appraised value of the property (the lowest value prevails). When buying a home you need also to take into account the purchase costs and mortgage costs. 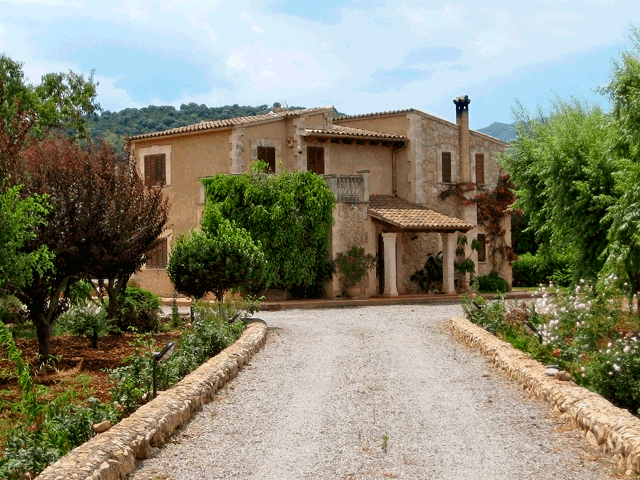 When buying a so-called finca or rural property the maximum mortgage in Spain will be limited to 60%. The rest has to be financed with your own resources. This can be accomplished by increasing your mortgage in your home country or with personal savings. We are happy to think of solutions with you, please contact us. Secondly, the banks apply income criteria to determine the maximum loan in Spain. Each bank uses a different calculation method but generally you could apply the following formula: you are allowed to spend 35% of your net annual income on total credit or rental charges. In addition to the income criteria, Spanish banks assess a mortgage on the family composition, whether you rent your home or have your own property, number and age of children, type of work, income type and sector, etc. We can assess your situation, and decide whether it makes sense to start applying for a mortgage with the bank. Also we can calculate your maximum loan in Spain with the corresponding conditions. Please contact us. Fixed or variable interest rate for your Spanish mortgage? Discuss with our mortgage advisors the advantages and disadvantages. Is it possible to refinance your current mortgage in Spain to a lower interest rate? Professional assistance is especially important when you do not speak the Spanish language fluently. With a construction mortgage you can finance the construction of your own house in Spain.